TUTTO Serger & Accessory Bag - Tutto-Serger & Accessory Bag. This bag was designed to stack on top of the Tutto Machine On Wheels Case securely or used individually. It will hold your sewing accessories or a serger and makes a great companion piece for all of your sewing travel needs. 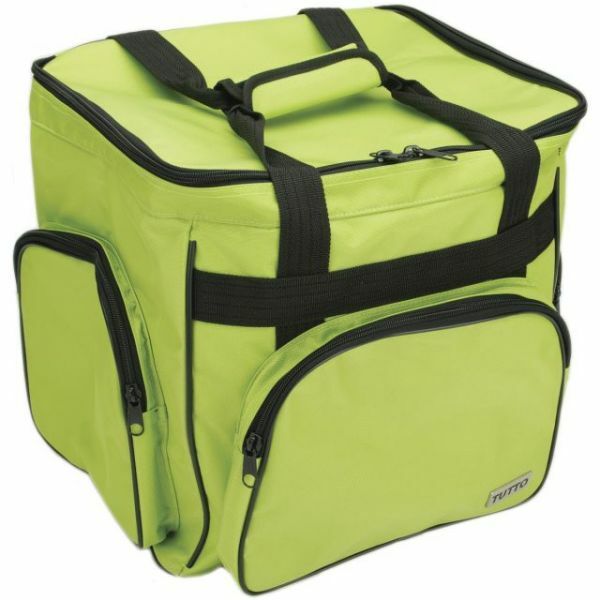 This bag features three outside pockets with zipper closures, Padded side walls and inside mesh pockets. Comes in a variety of colors and measures 14-1/2x14-1/2x10-1/2 inches each. Made of heavy duty nylon. Imported.